We believe transparency is key. Involving you, as early users, in our decisions is paramount to Sametab success. 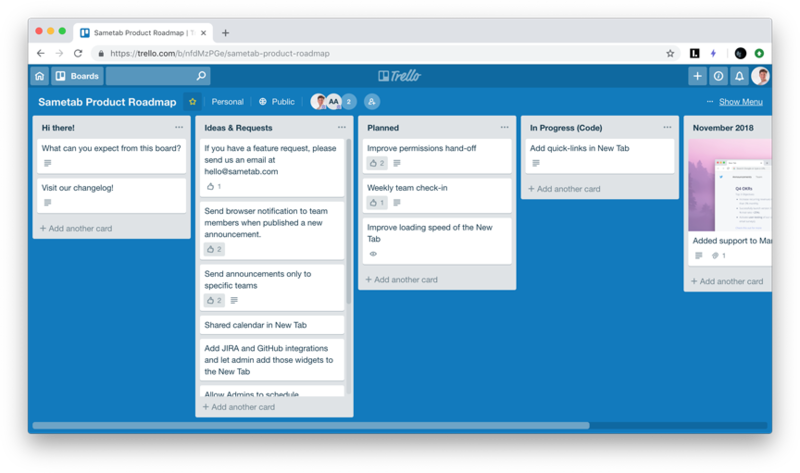 What you can expect from this Trello board? Check out this card to see how to collaborate. Each time we solve a bug, add new improvements, release a new version of the Chrome extension, or ship a new feature, we'll update this public changelog. We respect your inbox and we'll avoid sending emails for every single release. This is the place where we'll keep track of the state things and where you can see at a glance what's new in Sametab. Whether you're having trouble with the webapp, you spotted a bug, you want to recommend some improvements, or just want to say hello, submit a message from the feedback widget. We constantly monitor all the incoming feedback and we'll personally follow-up in less than 24h to your email address. All updates are important, of course. This one is mostly about bug fixes. Overall, stability of the web app has been improved, thanks to a bevy of bug fixes. 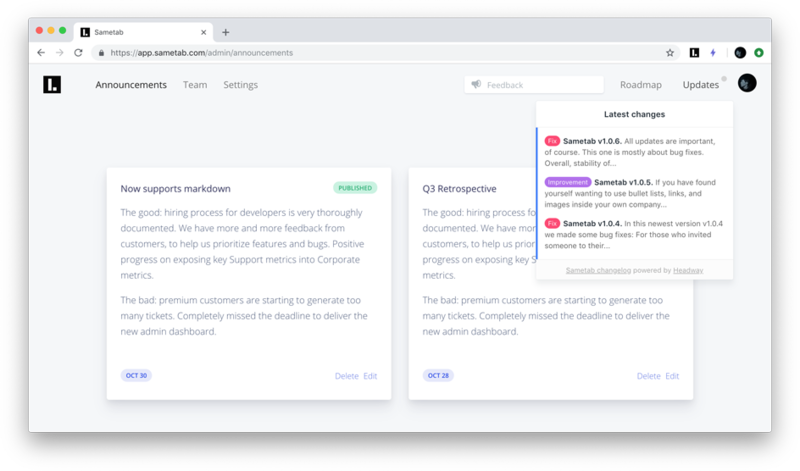 If you have found yourself wanting to use bullet lists, links, and images inside your own company announcements, now you can. Sametab now supports markdown syntax. Click here for a handy cheat sheet to see all you can do with Markdown. If you have a feature request, please send us an email at team@sametab.com. For those who invited someone to their Sametab team, it turns out some emails got queued up by our email provider and got delayed. Everything got back to normal. Sorry about the previous frustration. 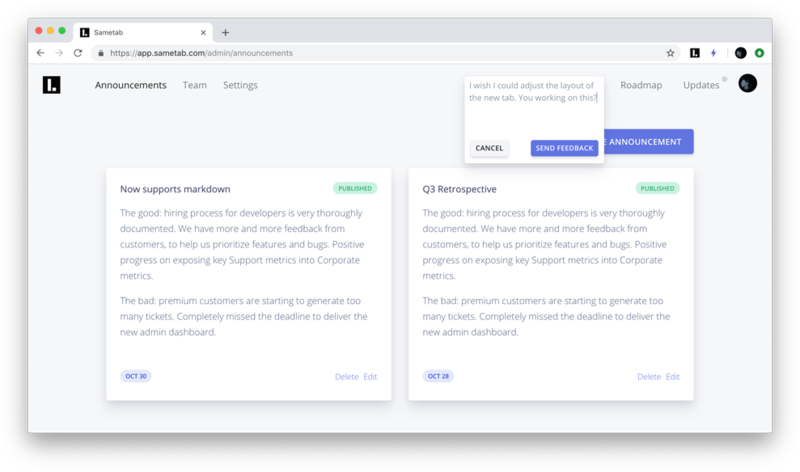 We certainly know the New Tab is something you look hundreds of times a day and it's our job to make continuous adjustments based on your feedback. This week we improved some UI glitches. 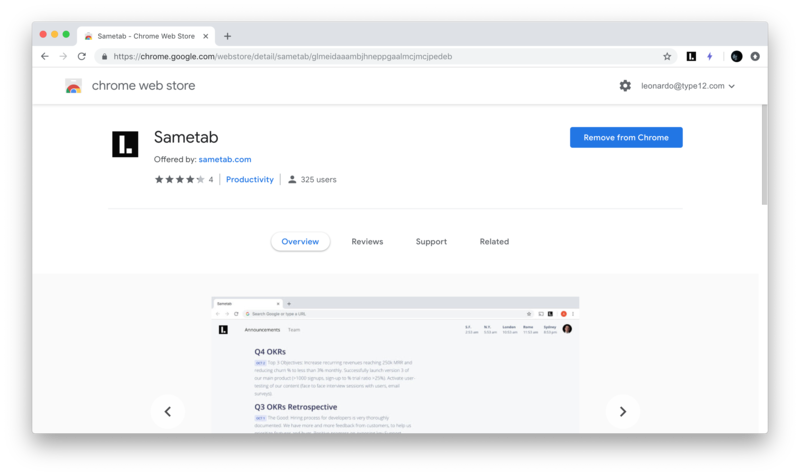 Sametab tab is now live on the Chrome store. Surely Sametab will start publishing changelogs very soon.